Please click on the questions to see our responses. Do you charge fees or commission? No, we don’t charge fees or commission. Do you have the best exchange rates? We consistently have the best rates to load funds onto Cash Passport Cards. Our rates are better than with Cash Passport direct – around 1% for most currencies. In the checkout you can select either Bpay or Direct Credit (using Poli). Who owns The Currency Exchange ? 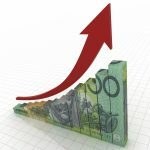 Ian Spight Pty Ltd owns and operates The Currency Exchange. Our retail outlets are in NSW. Our retail stores are in Wollongong and Brookvale in Sydney. All online reloads are undertaken in one of these stores. Which Travel Cards can you reload? 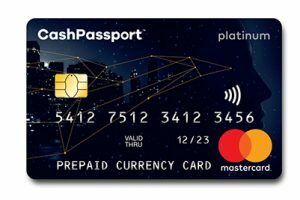 We are agents for the MasterCard Cash Passport and can reload any Platinum cards (as shown here) and non-branded older cards. Online we load Cash Passport Cards. 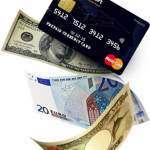 We can also transfer funds between currencies on your card (eg British pounds to Euro). I don't have a card but want to load it at your rates. How can I get a card? You can purchase a set of Cash Passport cards online directly with MasterCard and then reload them with us later. Alternatively, if you are near on of our shops (Wollongong or Brookvale) you can come in and purchase a set of cards. How long does it take to load funds onto my card? We will reload your cards as soon as we receive the funds. For payments by Poli during business hours: by close of business. For payments by Poli outside business hours: the following morning. Payments by Bpay: usually overnight if payment is made before 6pm AEST, otherwise next business day. Please note that banks do not release Bpay funds over weekends. If you need your funds quickly we recommend that you select Poli as your method of payment. Which currencies can I load on my card? You can load any combination of: US Dollars, Euro, British Pounds, New Zealand Dollars, Canadian Dollars, Japanese Yen, Singapore Dollars, Hong Kong Dollars, Thai Baht and UAE Dirhams. The UK have always used the British pound. Norway, Sweden, Denmark, Croatia and Switzerland each have their own currencies as well. If you need more information or have a question not covered here, please don’t hesitate to contact us.